At Camp Wandawega, preservation and progress go hand in hand. Owners Tereasa and David purchased this historic collection of cabins nestled in the woods of Wisconsin with the hopes of taking a storied past and creating an exciting future for the camp and for its visitors. In collaboration with Kohler, one particular cottage known as Hillhouse was carefully remodeled to create harmony between new amenities and a pastoral history. Now, groups of friends visiting the property find themselves at peace in nature, able to bask in luxurious indoor spaces and enjoying a uniquely rejuvenating experience. 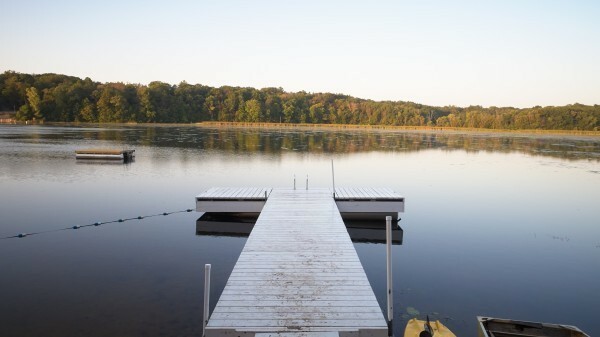 Visitors to Camp Wandawega are immediately greeted with stunning views of the lake. While the outdoor scenery remains untouched, heading indoors to the Hillhouse cabin, guests easily feel at home in a luxurious remodel. 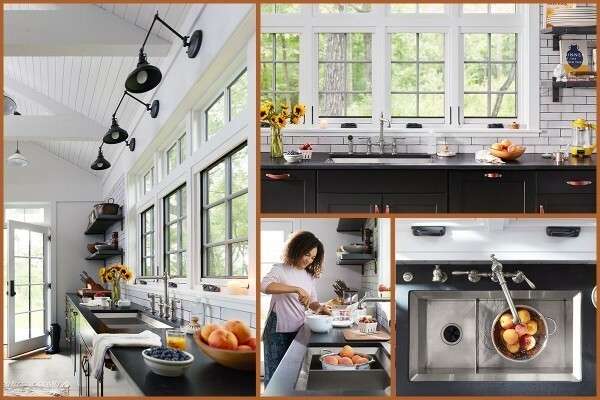 Whip up something delicious in the kitchen with a little help from Kohler. The open-concept layout of Hillhouse makes it easy for friends to gather. 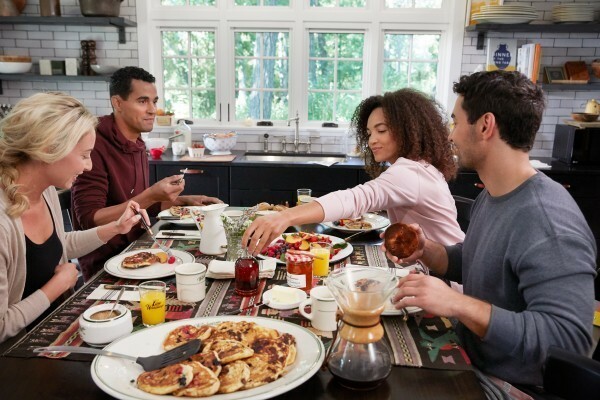 The kitchen is the center of it all, and the open-concept layout of the main floor of Hillhouse emphasizes togetherness. The generous counter space and KOHLER® fixtures ensure every meal is an experience to remember. Whether you’re the designated pancake chef, helpful dishwasher or volunteer taste-tester extraordinaire, you’ll find your niche in this well-equipped kitchen. The Poise® kitchen sink and Artifacts® kitchen faucet provide ample work space to make your creations the stars of the show. KOHLER fixtures breathe new life into the first-floor bathroom of the Hillhouse. The first-floor bathroom in Hillhouse looks timeless and allows guests to start the day feeling invigorated. The Memoirs Stately® pedestal sink and toilet from Kohler blend traditional style with sleek sophistication and the Artifacts® showerhead makes it easy to slow down and appreciate the moment. From an invigorating shower to a refreshing shave, there’s no need to rush routines here. A fun day out on the lake lifts anyone’s spirits. The rejuvenating effects of water aren’t limited to luxurious showers. The lake outside Hillhouse’s front door eventually beckons and most can’t resist heeding its call. 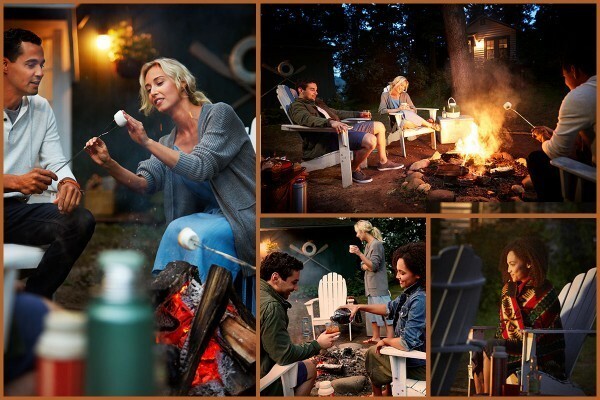 As the sun starts to fade, guests can get cozy around a campfire and indulge in a little sweetness. Crafting the perfect s’more with KOHLER Original Recipe Chocolates and toasting with KOHLER Dark Chocolate Brandy is the ideal way to end a day spent in good company. The KOHLER® Iron Works® bath is perfect for an evening soak. After saying goodnight to friends, a relaxing soak awaits in the KOHLER Iron Works bath. This historic claw-foot bath boasts a well-crafted design with delightful details that would prime anyone for a peaceful night’s rest. 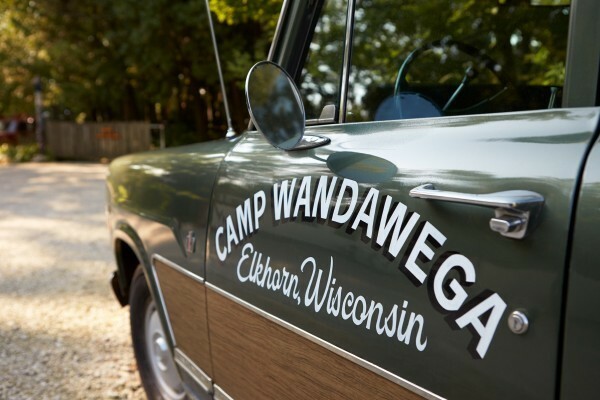 Camp Wandawega, with its beautiful cottages peppered along the lake, has been reimagined to delight visitors with gorgeous views and equally enchanting interiors. Hillhouse is poised to welcome a new generation of travelers to make memories and feel inspired.